His Excellency William Gopallawa was born on September 17,1897 at Dullewa Maha Walauwa in a beautiful village, Asgiri Udasiya Pattuwa in Matale district. Tikiri Bandara Gopallawa, from Gokeralla, a village in Kurunegala was his father. His mother Tikiri Kumarihamy Dullewa was from Dullewa village. When little William was only three years he lost his father. Young William had his primary education at Dullewa village school; later he studied at St. John’s College, Getambe, Kandy. He entered Dharmaraja College in 1909 and thereafter he continued his education at St. Anthony’s College, Katugastota. After passing his Cambridge Senior, he joined Matale Buddhist school (now named Vijaya College) as a teacher in 1917. He took the initiative to organise the First Boys’ Scout team and the first library for the school. In 1920, Mr. Gopallawa joined the Ceylon Law College and qualified as a proctor in 1924. In 1926, he was elected to Matale Urban Council and served the people for 13 years till 1939. He was the youngest Chairman to be elected to an Urban Council in the island. On March 8, 1928, William Gopallawa married Miss Seelawathie Rambukwella and they were blessed with two sons and two daughters, named Iranganie, Asoka, Chinta and Monty (Late Governor of the Central Province). William Gopallawa was appointed as the Municipal Commissioner, Kandy Municipal Council in 1939 and later Municipal Commissioner, Colombo from 1951 to 1957. In recognition of his services, late Mr. S. W. R. D. Bandaranaike, appointed him as the Sri Lanka’s Ambassador to the People’s Republic of China. Later, he was appointed as the Sri Lanka’s Ambassador to the United States of America, Cuba and Mexico in 1961, by Mrs. Sirimavo Bandaranaike. The crowning moment of his career was his appointment as the Governor-General of Ceylon from March 2, 1962. He had the distinction of being the first Buddhist and the second Sinhala Governor-General of Ceylon. 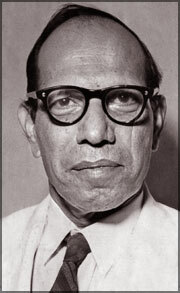 When the then National State Assembly promulgated the first Republican Constitution in 1972, William Gopallawa was appointed the first President of the Republic of Sri Lanka. As the first Sinhala Buddhist Governor-General, he introduced Buddhist religious, cultural and traditional customs and values to the President’s House, after many years. President’s House doors were opened to the ordinary people. Buddhist shrine room was built in the President’s House premises, and on every full moon poya day, he with Mrs. Gopallawa observed ‘sil’ with other devotees. Mr. Gopallawa was a Buddhist who diligently observed Meththa, Karuna, Muditha and Upekka and was truly a gentleman who did not know religious, social or political barriers in his public or private life. He had said, many a times, that it was his education at Dharmaraja College, Kandy made him a cultured person. His outstanding trait was his composure which reflected in his character of good-will and compassion to all around him with a simple smile and a kind word. He never had any difficulties whatsoever when dealing with people of ethnic, religious or political parties. Mr. Gopallawa used to have lunch with Dudley Senanayake, every Wednesday, when Mr. Senanayake became the Prime Minister in 1965, at the then Queen’s House and used to discuss problems of the country in a very friendly manner. The installation of the first ‘Ran Veta’ around Sri Maha Bodhiya, Anuradhapura in 1969, was his most outstanding religious and cultural activity. He never had any differences based on race, creed or caste. As the Chairman of Urban Council, Matale, he re-named, ‘Pannagama Para’ which name had a distinct caste connotation as Vihara Para. William Gopallawa, this simple villager from the remote village Dullewa, Matale had fulfilled his responsibilities and obligations towards his country without any fear or favour. Let me quote, what late Mr. A. Amirthalingam M.P, for Kankasanthurai had said on the condolence vote on William Gopallawa on February 20, 1981 in Parliament. “His career has very many unique features which no one else in this country ever achieved or can ever hope to achieve. I should say that all these positions which he filled with distinction and honour were never sort after by him. So, Mr. Speaker while he was a simple and unassertive, there were certain qualities in this great man which enabled him to fill these positions without incurring the opprobrium of any section of the people of this country. He was honourable, incorruptible, meek, religious and dutiful in his life. These qualities enabled him to fill the various positions he held with honour. He never bandied words with anybody, I do not think he would have hurt the feelings of anyone yet he rose to a position of pre-eminence”. His Excellency William Gopallawa passed away on January 30, 1981 in his house in Matale town, at the age of 83 years. May, he attain the Supreme Bliss of Nibbana, towards which he practised in his life.